HDSI's Time and Attendance Module seamlessly integrates into our payroll module to quickly and accurately to assist in completing your payroll. With the use of a biometric reader you are ensured that no employee can punch for another. This in turn, eliminates time fraud and reduces payroll costs. 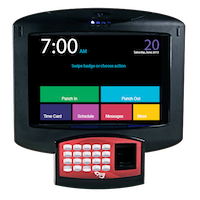 Because a person’s hand is unique, a biometric time clock provides a quick, accurate, and reliable way to record punches for an employee. Daily reporting of various exceptions, i.e., failure to time in, failure to time out, early time in, questionable overtime, lunchtime variance, etc.